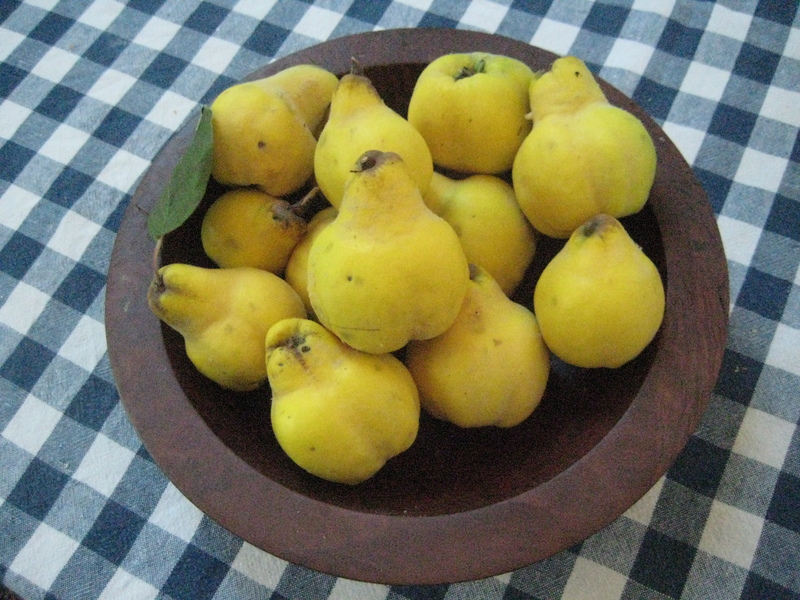 Quinces are so delicious and so beautiful – also not easy to come by. You can make quince jelly, or Membrilo a deep red Spanish quince paste eaten with Manchego, or flavour apple pies/crumbles etc. They are also just gorgeous to look at. I am lucky to have a friend in the country with a Quince tree and she brought me these. This entry was posted in cooking, Gardening, Living in North London and tagged cooking, eating, fruit, manchego, membrilo, quinces. Bookmark the permalink.